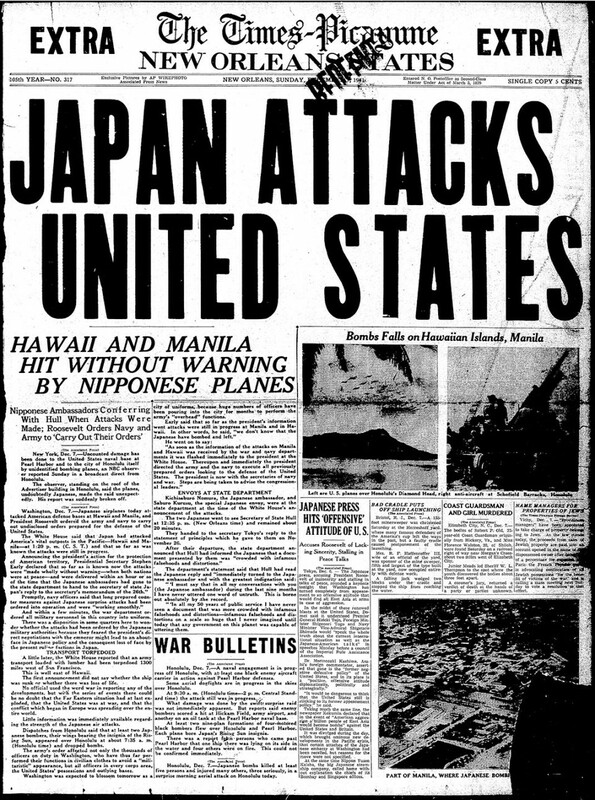 Always remember, never forget … Today marks the 74th anniversary of the day the United States was suddenly and deliberately attacked the Empire of Japan and the United States would never be the same. So many lives lost at the hands of such a cowardly act. It was a time of innocence lost; however, Americans would strike back against their foreign aggressors and save the world from tyranny. We remember those brave men and women that died that fateful day. 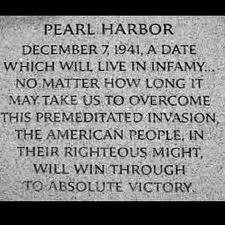 So many lives affected by that single heinous act; however, as history would record, Japan awoke a sleeping giant. 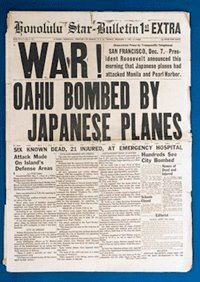 That reprehensible, treacherous act unified a country and in fact awoke a sleeping giant that provided the resolve to win a war against the evil Axis. With confidence in our armed forces – with the unbounded determination of our people – we will gain the inevitable triumph – so help us God. Thank you to our Greatest Generation!!! 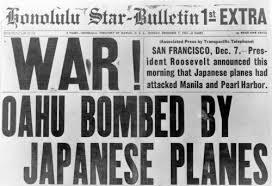 Today marks the 73rd anniversary of the day the United States was suddenly and deliberately attacked the Empire of Japan and the United States would never be the same. We remember those brave men and women that died that fateful day. And we honor those that survived and fought on to defend the United States, freedom and liberty. 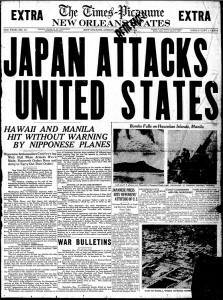 The reprehensible and treacherous sneak act unified a country and awoke a sleeping giant that provided the resolve to win a war against the evil Axis. It was that resolve, leadership and focus on the enemy that enabled the United States and its Allies to victory. UPDATE I: Pearl Harbor survivors reunite in Hawaii to mark 73rd anniversary of attack. More than a dozen Pearl Harbor survivors, each more than 90 years old, gathered in Hawaii this week to share stories as they marked the 73rd anniversary of the Japanese attack that killed 2,400 sailors, Marines and soldiers. The gathering has been called the last meeting for the USS Arizona Reunion Association – comprised of the remaining nine survivors of the USS Arizona, a battleship that sank in the Dec. 7, 1941, attack. But Louis Conter isn’t ready to talk about the end.